For Ryan Schoenmakers, an AFL return was always the goal. Ryan Schoenmakers may be sidelined for a few more weeks, with the Hawks uncertain as to when he will be fit to return. Ryan Schoenmakers is hoping he can get over his frustrating groin injury and return to the field soon. 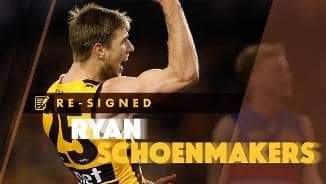 You won’t find a better clubman than Schoenmakers, who signed a new one-year deal to remain at the club in 2019. 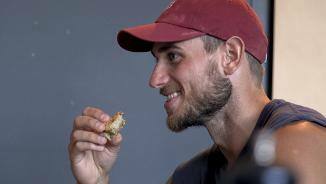 He played nine games at AFL level last year, having lost time early in the year to an achilles strain – a condition he’ll manage for the rest of his career. He averaged a goal a game at AFL level and balances the side nicely playing out of the forward line as the second or third tall when he’s fit and in form. But he also puts in unconditionally when he plays at Box Hill, hence the esteem in which he is held. Player honours: premiership side 2015. 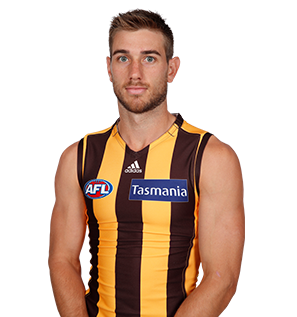 Draft history: 2008 NAB AFL Draft 1st round selection (Hawthorn) No. 16 overall.